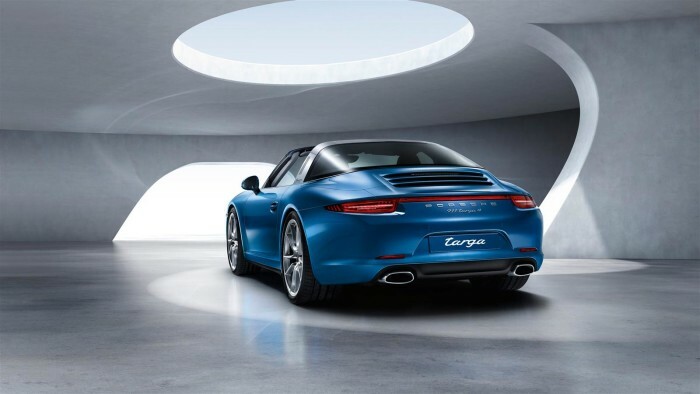 Porsche has unveiled two new 911 Targa models at the Detroit Auto Show. 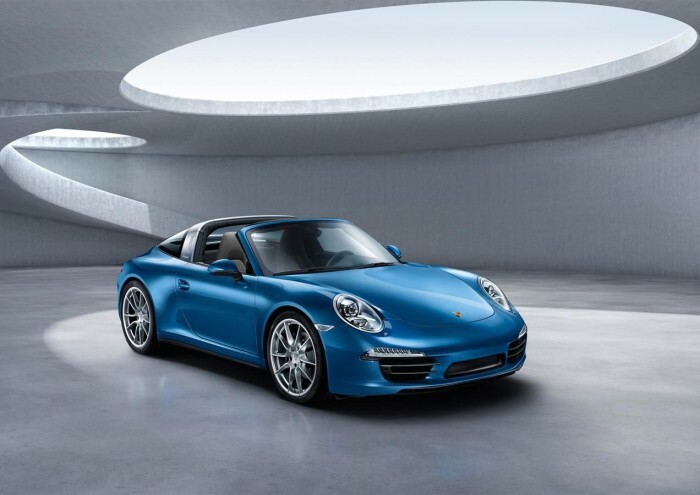 The two models – Porsche 911 Targa 4 and 911 Targa 4S comes with attention grabbing roof technology, that open and close roof with a push of a button. 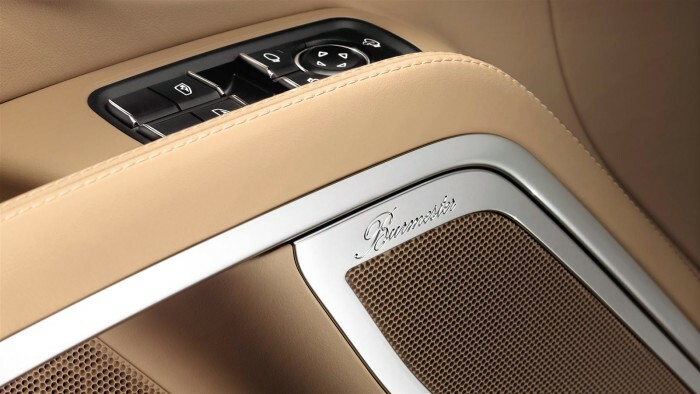 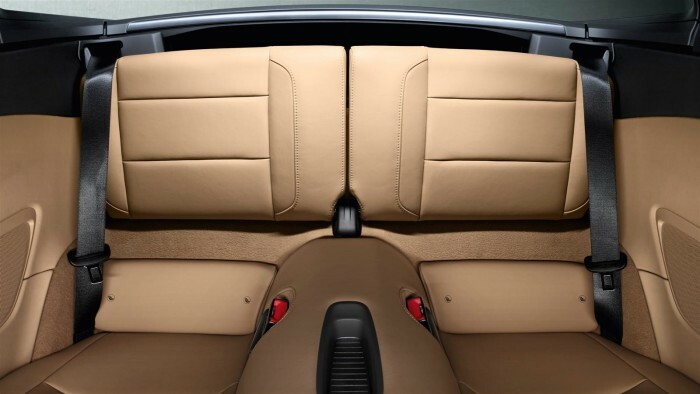 Innovative and fully automatic roof when opened stores the top behind the rear seats. 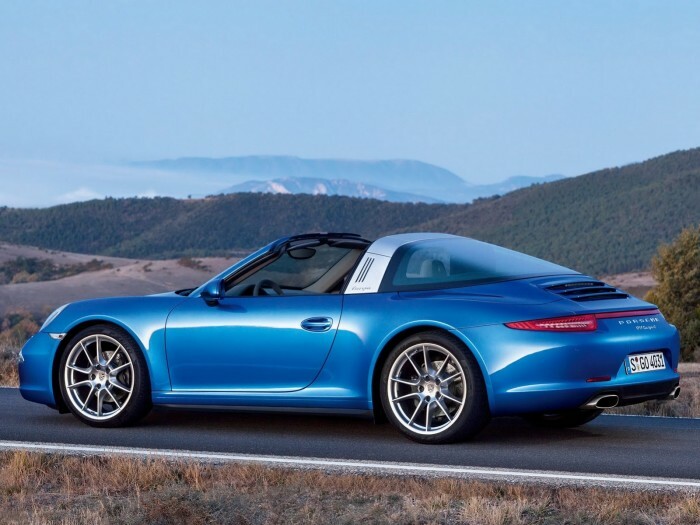 Revisiting the origins of Targa, Porsche has added a roof bar, a movable front roof section, and a wraparound rear window to the new models. 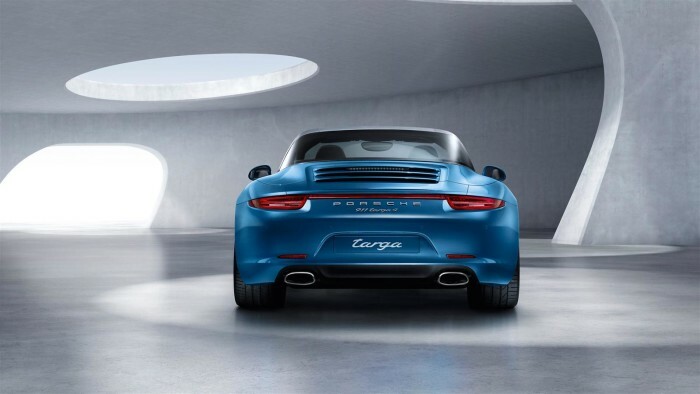 Designed to attract drivers that want to have best of both worlds in a coupe and a convertible, 911 Targa’s come with All Wheel Drive as standard with wider rear track and body – 4 in both models stands for 4 wheel drive. 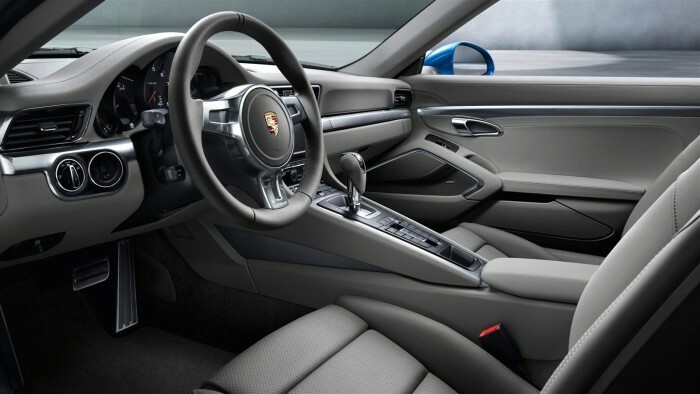 As with all 911 AWD models, Porsche Doppelkupplung (PDK) and Sport Chrono package also come as standard. 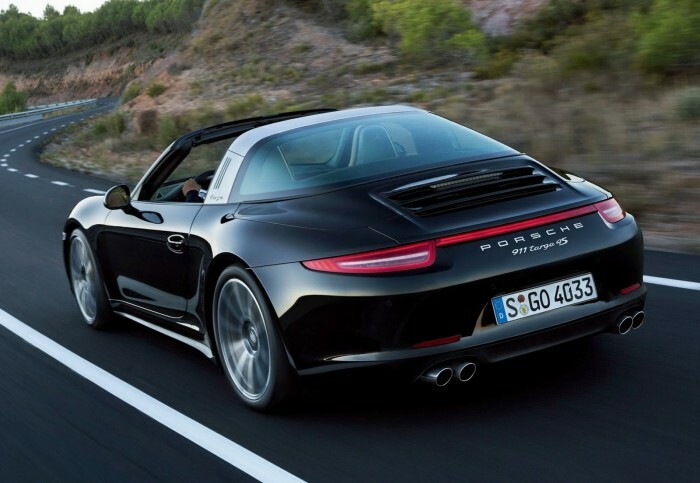 The 911 Targa 4 features a flat 3.4-liter 6-cylinder engine that deliver 350 hp. 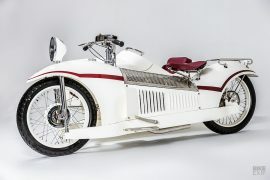 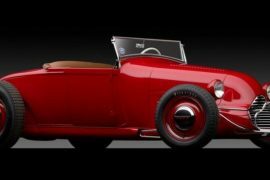 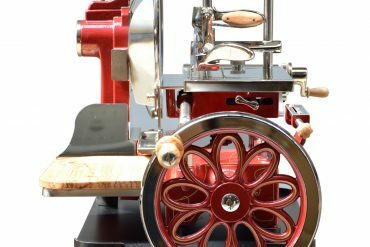 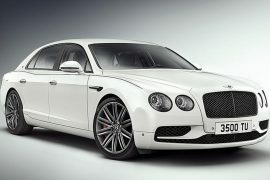 It can accelerate from 0 to 60 mph in 4.6 seconds. 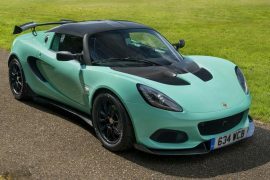 Its top track speed is clocked at 174 mph, while in manual transmission it is capable of doing 175 mph. 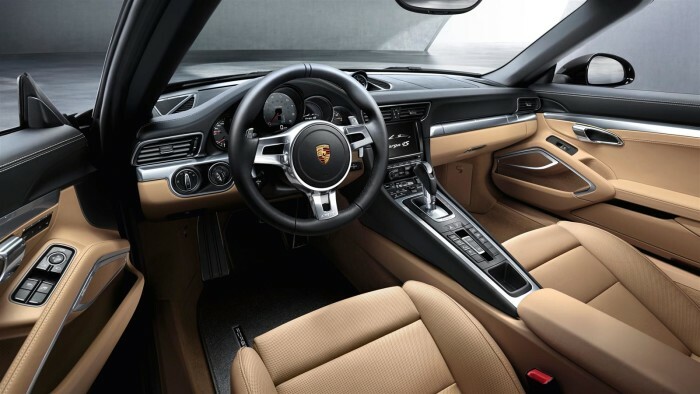 The top-end 911 Targa 4S equipped with a flat 3.8-liter 6-cylinder engine provides 400 hp of power that allows it to jump from 0 to 60 mph in just 4.2 seconds. 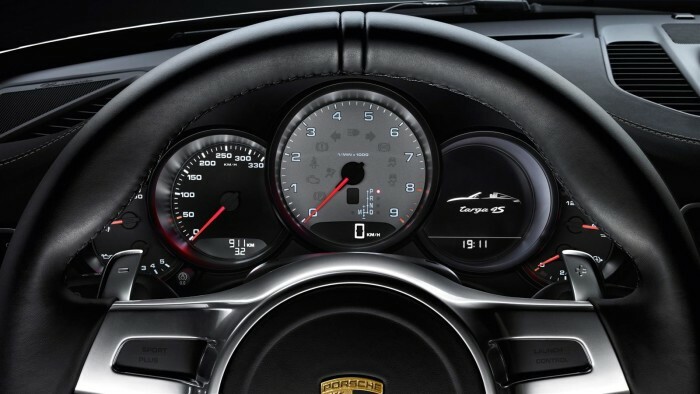 The 911 Targa 4S is capable of reaching a top track speed of 183 mph when equipped with a manual transmission and 182 mph with PDK. 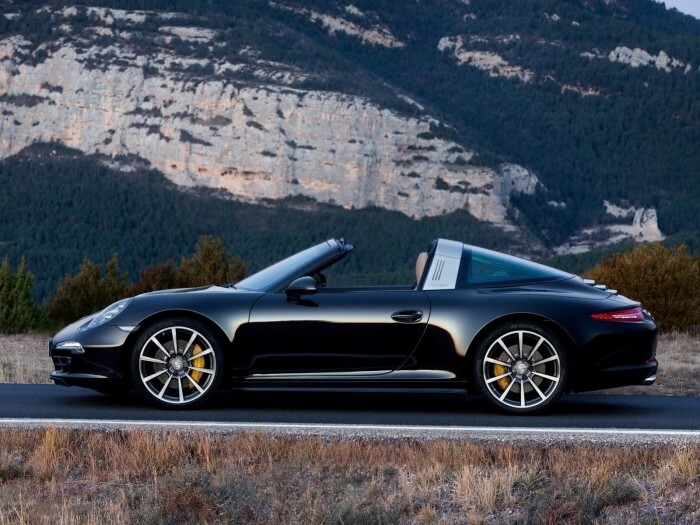 Deliveries of the 911 Targa in the US are scheduled to begin this summer. 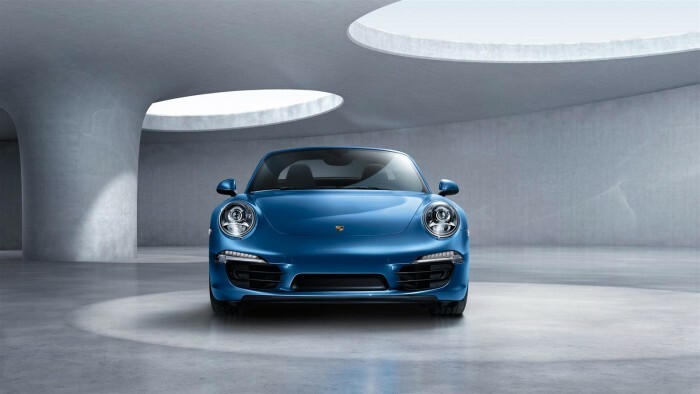 Pricing for models announced have an MSRP of $101,600 for the 911 Targa 4 and $116,200 for the 911 Targa 4S. 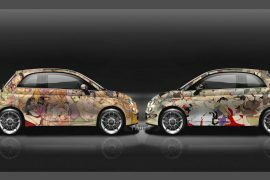 Applicable for both cars, destination charge is set at $995.